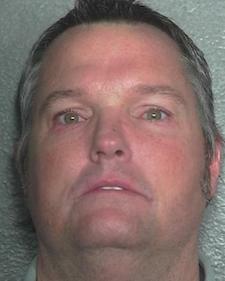 Greeley, CO – A Fort Collins man convicted in a mortgage fraud scheme was sentenced in Weld County District Court on Wednesday to five years in prison. A jury in December convicted Matthew Sysum (DOB: 08/13/1969) of seven counts of Forgery, a Class 5 felony, and one count of Theft, a Class 3 felony. He was sentenced to five years for the Theft and three years for each Forgery count; the sentences run concurrent for a total of five years. Sysum was convicted in connection with three different real estate transactions. In some of these, he would buy a piece of property then resell it quickly at an inflated price and pocket the proceeds. He worked with an appraiser and a title company representative to perpetrate the fraud in some of the real estate transactions. The appraiser completed false and inflated reports on the worth of the property so a buyer would believe its value was much greater and banks would lend money based on that value, according to police and court records. And the title company representative would shuffle the paperwork so the banks did not know that some of their loan was being used as a down payment and some going into Sysum’s accounts, according to police and court records. The judge allowed Sysum to post a bond during his appeal. Senior Deputy District Attorney Christian Schulte and Deputy District Attorney Sarah McCutcheon prosecuted this case. Site contents copyright © 2019 Recorder Online	except as noted. All rights reserved. | 92 queries in 2.073 seconds.